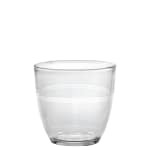 7-3/4 oz Gigogne Tumbler, Clear. Duralex glass products are tempered and shock resistant, withstanding sudden temperature extremes from -4 to 212 degrees F. The mechanical and thermal resisting properties are considerably increased compared to other ordinary glassware products. Duralex is 2-1/2 times stronger than ordinary glass. 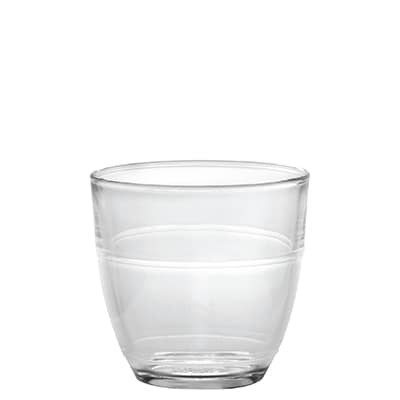 Duralex glassware is microwave and dishwasher safe. "I fixed a lovely Provence picnic for my husbands 60th birthday. The glasses were perfect to tuck inside the basket and great for the wine that we..."
"I fixed a lovely Provence picnic for my husbands 60th birthday. The glasses were perfect to tuck inside the basket and great for the wine that we shared. French glasses and a French wine. Doesn't get any better than that."